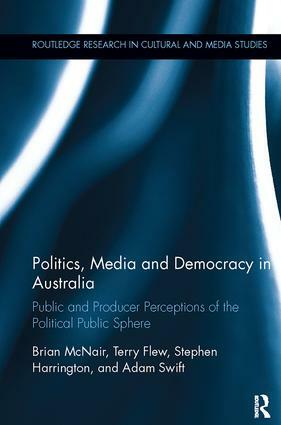 In Australia, as in many comparable democracies, the role of the media in the political process is high on the public agenda. There is a perception of widespread disillusionment with and disengagement from politics amongst voters, and criticism of the media for failing to fulfil their democratic responsibilities adequately. This book evaluates public perceptions of the performance of the political media in the context of the declared aims and objectives of media producers. From there the authors present findings for improving the capacity of political media to engage and inform their audiences in ways which enhance the quality and popular legitimacy of the democratic process. These conclusions are of import not only to Australians, but to observers of mediated politics in the UK, the US and other countries where similar debates around the ‘crisis of public communication’ are on-going.